Home > About Rope Access > What Is Rope Access? There are many instances in which you may need to require cleaning or maintenance at a greater height. However, going in without knowing what you’re doing, as due to the height of the elevation, you may end up causing serious harm to yourself and those around you. Here at R.A.I.L. Ltd. we offer a service that can help you with the cleaning and maintenance of your building without any risks. With rope access, everything is safe and reliable. In this method, rope access technicians use ropes and other associated equipment in order to gain access to and from their workplace and to be supported there. Because they only use ropes to perform their tasks, it grants them the freedom to move around and use tools without any obstruction and risk of encumbrance. 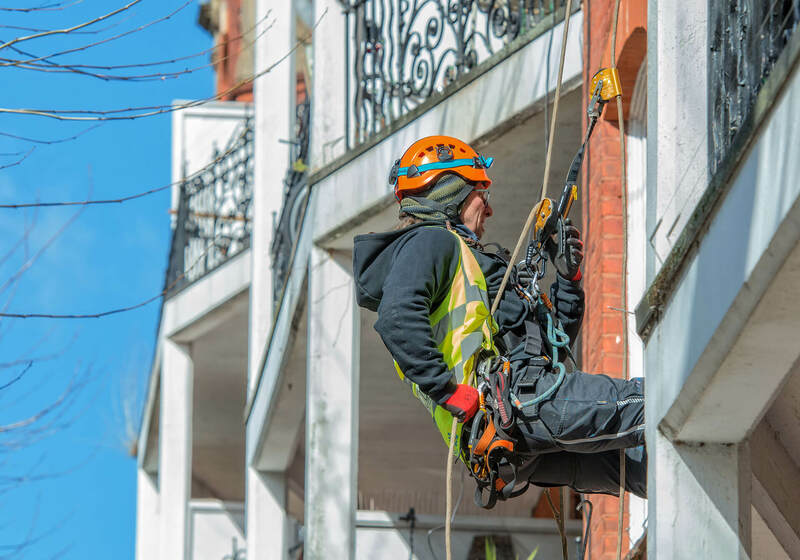 Thanks to the incredible skill and practical set of tools, our rope access technicians can do their job properly, competently carrying out any tasks they have at hand, from cleaning windows to more complex maintenance work, while completely minimising any risk of accident. Rope access is one of the safest forms of working at heights available to clients around the world. At R.A.I.L. we are very serious about going the extra mile to reduce any risk that might occur during our works. We take care of our workers so they are working in a safe environment. Only by taking care of the whole team we are able to provide you with the great effects of our services. Check out everything we offer and fill in the free quote on our page to book our services.